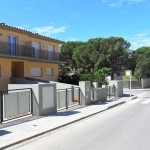 Comfortable 2-family house, built in 2003 is situated on the outskirts, 500 m from the centre of L'Escala, in a sunny position on a slope, 200 m from the sea. 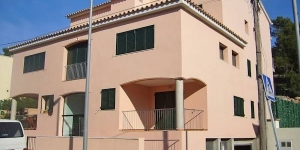 This is a 4-room apartment on 2 levels with 3 bedrooms, a bathroom, a living/dining room with air-conditioning. Kitchen is equipped with 4 hotplates, oven, dishwasher, micro wave, freezer. For shared use: garden lawn and plants, swimming pool angular (10 x 4 m, 01.06.-30.09.). Private: garden (fenced). 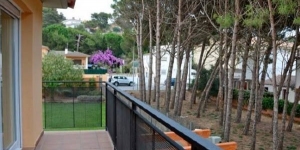 Nearest shop is 500 m away, supermarket 200 m, restaurant, bus stop 500 m, sandy beach "Platja del Rec/Empùries" 200 m, shingle beach "Platja de La Creu" 250 m. Riding stables 1 km.